Boneless & skinless chicken breasts are neatly hand trimmed of excess fat and skin then marinated with water and salt to make the chicken moist and tender when cooked. 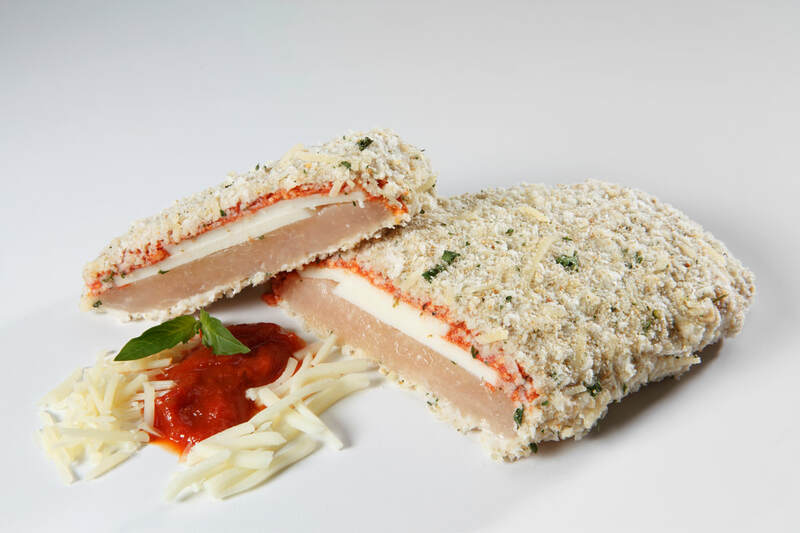 Slices of mozzarella cheese are placed on the chicken breast and then covered by marinara sauce blended with imported parmesan cheese and frozen. The chicken breast is then lightly batter and breaded by hand with a mixture of breadcrumbs, parmesan cheese, and parsley.